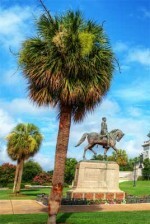 Charleston,SC: Creekside Web Design - Web Design and Development in Charleston, SC. Let Creekside streamline your web presence without sacrificing features user crave. Contact Creekside Web Design and ask us how we can create a website or update an existing one. It is estimated that 22 out of 100 new active domains are running WordPress, a surprising statistic considering the abundance of website support options available today. WordPress is gaining widespread use mostly due to the open-source nature of it’s code and it’s intuitive functionality for content managers.